Next generation air wash system explained. 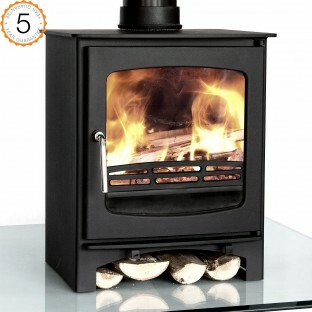 This feature is a must if you love gazing at the flickering fire with an uninterrupted view. This next generation airwash system has been designed specifically for the Purefire models. 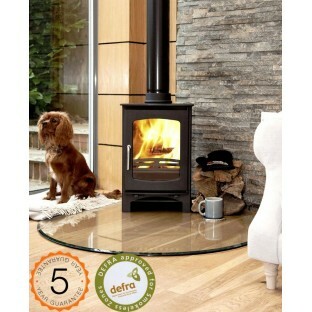 We have designed every stove in the range with maximum glass coverage as looking into the fire is one of the great advantages of having a real stove. We were conscious that traditional air wash systems may not keep the huge glass fronts clean and clear so we felt a re-design was in order. 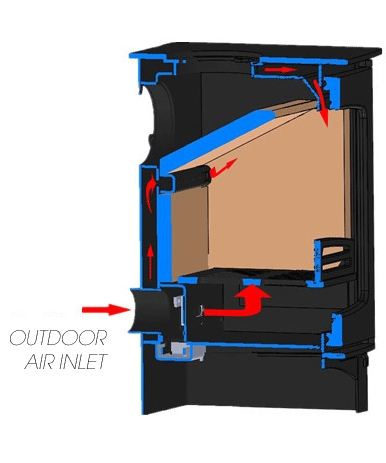 Traditional air-wash systems draw in air from above the door on the face of the stove and direct it straight onto the glass. 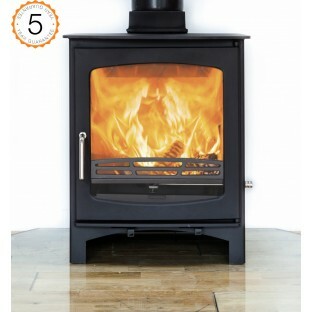 On this stove, the air is drawn in from the rear and is split off in 3 directions; for this new airwash system the air is split off into a fully seam welded separate chamber that covers the top and rear of the stove and ends with a lip just above the glass. The air flows in from the rear inlet into this chamber and travels up the rear of the stove, over the fire box and is funnelled onto the glass as seen above with the red arrows. The heating of this air from the fire has been proven to be an extremely effective way of keeping stove glass clean and the fast moving warm air is capable of reaching all corners of the glass front. 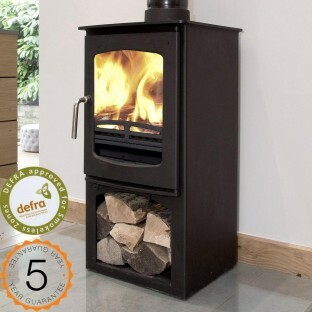 Note: If you burn wet unseasoned wood or do not operate the stove within the instruction guidelines, the airwash system will be less effective.